Originally from Texas, Christopher spent several years living and working abroad after graduating from Texas A&M with a Marketing Degree. Upon returning to the States, he settled in NYC and took a job with an Online Marketing Company specializing in SEO. In 2005, a reluctant visit to Jersey City opened his eyes to a cleaner, more appealing Borough of NYC... with fantastic views, green parks, and minimal noise. 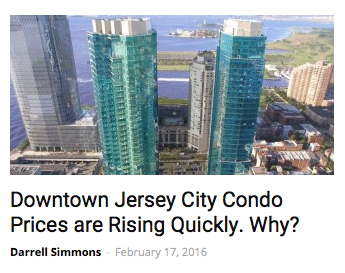 Three months later he moved to Paulus Hook, and six months later he began practicing Real Estate. Not your typical agent, Christopher specializes in luxury waterfront homes located along the Hudson River, many with spectacular views of New York City. Offering unparalleled neighborhood knowledge and targeted marketing to the NYC buyer, Christopher has become one of the top agents in the area. He's worked extensively with top level executives in the film and finance industries, international dignitaries, as well as teachers and members of our Armed Forces. At 49 stories, this magnificent glass tower completely redefines urban living. 77 Hudson is one of the first residential buildings to be sheathed in glass walls, allowing unobstructed panoramic views and extraordinary light from floor to ceiling, corner to corner. The enviable list of amenities at 77 Hudson simply cannot be found anywhere else – including Manhattan. From the rooftop bar and fireplace to the swimming pool and hot tub, luxury is all around. Rare to market 2 bedroom, 2 bath with direct NYC, Hudson River & Statue of Liberty Views in 77 Hudson for rent. This stunning South East corner home is flooded with light all day long, offering gorgeous sunrise and sunset views. Features include Italian Cabinetry, Brazilian Cherry floors, and Carrara marble baths. Over 40,000sf of resort-like of amenities include pool, hot tub, grill area, fire pit, gym, yoga room, Pilates, steam room, sauna, and more. Prime Exchange Place location offers quick commute to NY w/Ferry & PATH one block away. Parking available for additional fee.